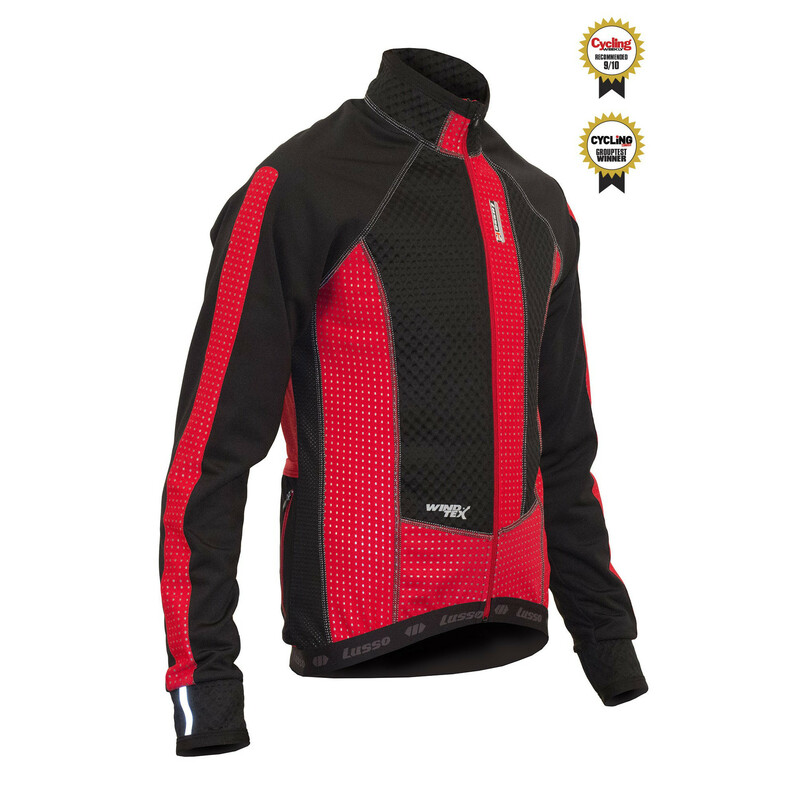 The Lusso Windtex Aero+ Thermal cycling jacket has been designed and constructed to cope with the coldest days you’ll encounter on your bike. This brilliant thermal cycling jacket insulates you from the cold while preventing you from over-heating thanks to its highly breathable fabric which has been cleverly engineered to let excess body heat and moisture escape while shielding you from the cold air. Anatomically shaped the Windtex Aero+ has been constructed from multiple panels to help ensure a close fit without any excess fabric to flap in the wind; reflective detailing keeps you visible during poor light conditions and 4 pockets including one zipped pocket helps you keep your phone, keys and wallet secure while riding. This was purchased as a replacement fror a Lusso Jacket I bought in 2006. Well made and fits perfectly. The finish is first class especially the stiching. Hope this one lasts as long. I have been weaing Lusso for atleast 20 years and intend to carry on with this British make. Have tried others but let down by quality. Great service from Merlin to get a Jacket to me on the other side of the world in under 10 days. The jacket is exactly what I wanted. Really good fit, light weight, comfortable and wind proof. Thanks.